The story of Rovio, the maker of Angry Birds, is impressive (here on Wired.co.uk). 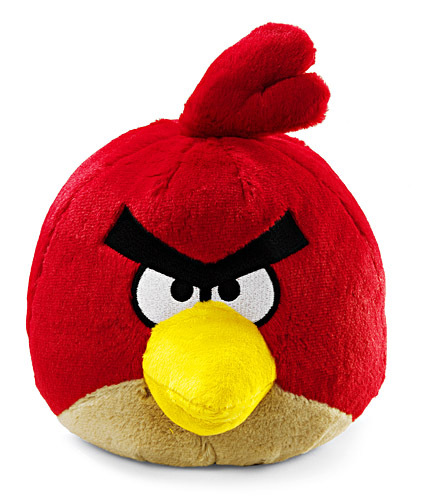 It provides at least one strong lesson to startups in the wild: Angry Birds was the 52nd computer game by Rovio. Before Angry Birds the company went through ups and downs, but never had a hit. The company started with 1 M$ of angel investing in 2003, and mostly developed games for larger companies, those with a distribution channel. It went from 2 to 50 and then to 12 employees. With the company almost bankrupt, in 2009 they had their hit on the Appstore with Angry Birds. Then, they worked like hell to exploit that success through multiple sales channels. Now, Rovio’s turnover is estimated around 50 M$, 20 M$ coming from sales and licensing deals not directly related to video games, and 30 M$ from video games, roughly half from the iOS platform, half from Android ad-supported sales. They have received a 42 M$ series A funding in 2011 and turned down an acquisition offer of 2.25 B$ from Zynga. It is another good story that tells that 1. the initial idea has no value, 2. it is important to keep pushing, tweaking, building expertise, and trying again. It really seems that Google searches on “smart cities” are taking off this year. Probably we have the confluence of increased marketing spending by big ICT players and the start of several initiatives and funding programs at the European and national level. Could this be a smart city bubble? This is the online home of Giuseppe Iannaccone. Here you can find information about my research activity, my classes at the University of Pisa, my scientific articles, available student projects, and some blog posts. You can also find my coordinates and social media handles, and some information about me. If you are a student, please subscribe to this mailing list dedicated with information about classes, exams, internships.